The first meeting of the Dallas Modern Quilt Guild was held last night at City Craft in Dallas. It was fun to meet other like-minded quilters from the DFW area. I regret not taking any photos, but I know a good time was had by all although I have no photos to prove it. 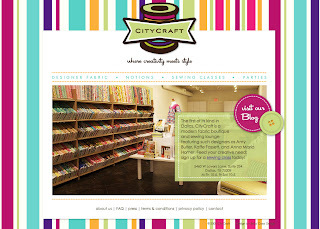 City Craft is amazing. 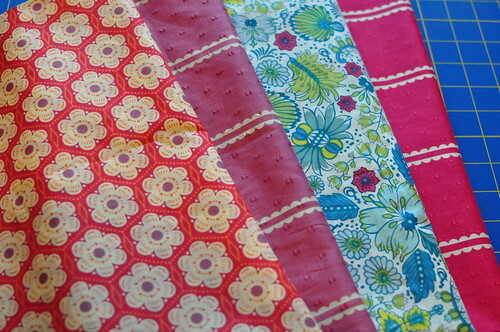 Callie has created such a fun space for modern quilters and sewers. It's a quaint place, but her selection is amazing; she's only got the good stuff! Speaking of good stuff... have you touched this Anna Maria Horner Little Folks voile? I cannot begin to describe how amazing it feels. I had my first chance to see it in person last night at City Craft and couldn't leave without some. The blue floral and pink dobby will become a top or maybe a dress, and the red floral with purple dobby will hopefully be a scarf before the day is over. As usual, I've got multiple projects going on at once. I started another ripple afghan. This one is made with Lion Brand Cotton-Ease, which I really like because it's machine washable. Last month's cotton ripple became a scarf after I decided my chain row was too tight and rather than pull it out, I just stopped at five colors and declared it a scarf. My mom, the master crocheter, chained and crocheted the first row of this one for me. Thanks, Mom! 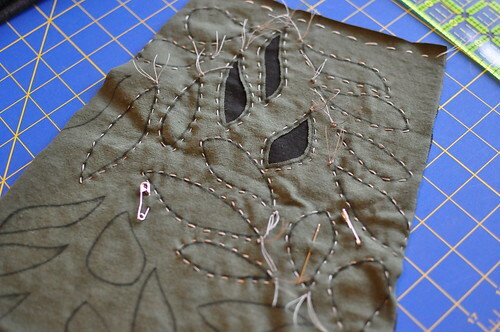 I've made some progress on the reverse applique skirt. It's a good take-along project. I've been working on during Shea's gymnastics class. 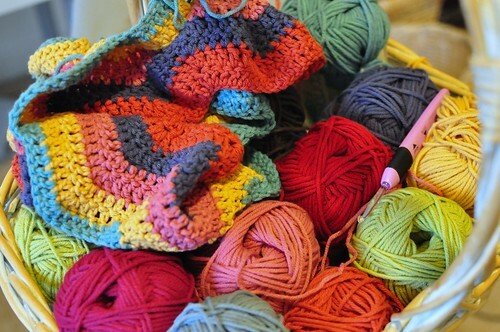 Well, I'm off to make a scarf. The sun is out for the first time in a couple of days. It's got me feeling good and I'm too inspired to sit here any longer! i'm glad the first guild meeting wen't well.. ours is coming up in a few weeks! ...& the reverse applique of the leaves is so pretty!